RADIO DISNEY: Joey Bragg Joins Maddy For The Morning Show! Make sure you’re tuned into Radio Disney this coming Monday (July 14th), Tuesday (July 15th) AND Wednesday (July 16th) mornings! Why? Because your favorite adorable older brother from Disney Channel’s Liv & Maddie, Joey Bragg, will be guest hosting along with Radio Disney personality Maddy during those nice morning hours! Joey went on Twitter yesterday to announce this news and shared a fun take on Radio Disney’s morning show above! 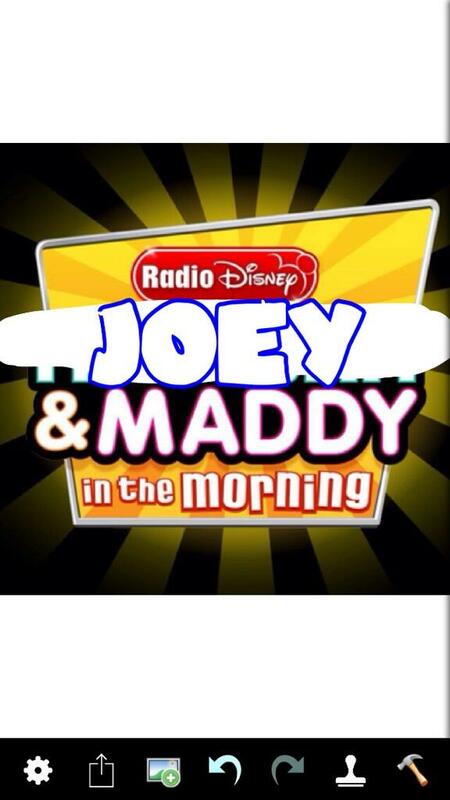 So, wake up early, get a nice breakfast and tune into Joey & Maddy in the morning on Radio Disney! 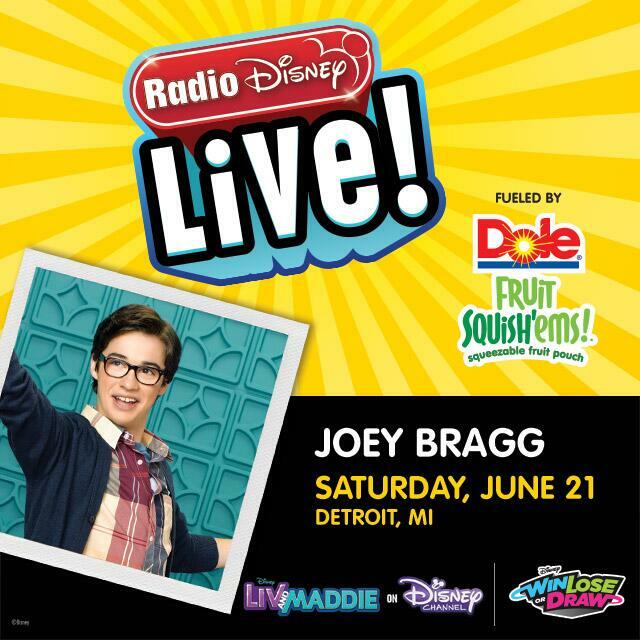 Join Radio Disney + Joey Bragg At Detroit River Days! Hey, Detroit! It’s time for another Radio Disney LIVE! show fueled by DoleFoods Fruit Squish’ems! This Saturday, June 21st, Radio Disney Detroit and Liv & Maddie‘s Joey Bragg will appear at the Meijer Kids’ stage at Detroit River Days around 12:30 p.m. to play Win, Lose or Draw! So, if you have no plans tomorrow, you have them now! For more information about Detroit River Days, just head here!